If you are a health conscious mum you will want to keep chemicals and nasties away from your baby as much as possible. Lets be honest .. there are many great baby ranges out there, but the reality is they can be quite expensive to use. 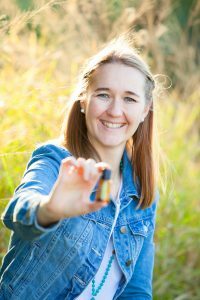 This is just one of the reasons I love essential oils – we can make our own remedies to soothe or relax our babies, children and even ourselves, at a fraction of the cost of store bought products. 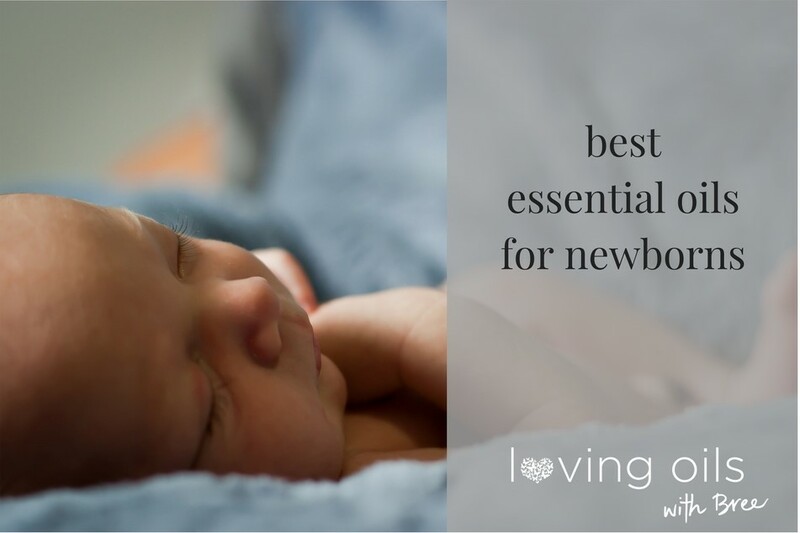 When it comes to using essential oils on our precious newborns, its important to know that dilution of essential oils is always recommended before applying to the skin. Diffusing is the safest option for nearly any baby (with a few exceptions) but I encourage you always get into the habit of always diluting oils if you wish to put them on babies skin. As our babies grow into toddlers and children, we then reduce the dilution used. The recommended dilution ratio for babies = 1 drop of essential oil in 10ml of carrier oil (ie 1 drop in a 10ml roller). Also please be aware that when it comes to essential oils I only use and recommend doTERRA for my family due to their quality and purity. It helps to be aware not all brands of oils are safe or pure when it comes to such sensitive skin as our precious babies. Therefore, most of the recipes below use only gentle oils that are very safe for everyone in the family to use and are designed for newborns. I have other specific recommendations for toddlers and beyond. If you have some basic oils like those in the Home Essentials kit and some Fractionated coconut carrier oil you can make the following recipes. Other additions for babies I recommend are Lavender Peace, Cedarwood, Roman Chamomile, Wild Orange, Siberian Fir and Peace. You can also checkout out doTERRA’s Touch range which are prediluted, and the limited edition Baby collection for custom products designed for use on little ones. Many traditional cultures use Frankincense on newborn babies to welcome them to the world. Almost mmediately after the birth – while skin to skin is taking place – you could potentially use Frankincense. Apply 1-2 drops Frankincense to your hand. Gently massage into babies back, up the spine and over crown of the head. Helps calm and soothe baby, welcome them earth side and also helps with circulation. Continue to use 1 drop of frankincense up baby’s spine and neck daily post birth as long as you wish to. For babies that are still up in the spiritual realm, grounding blend (Balance) can help them be more in this world. 15 drops each of Tea Tree, Lavender, Frankincense and ½ cup of FC oil. Apply directly onto the rash and repeat as needed. 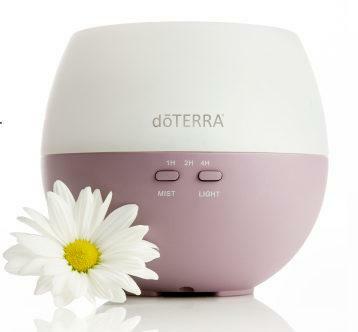 1 drop each of Frankincense and Lavender plus FC oil (or Lavender Touch), massaged into the entire body. Can also add raw coconut oil or shea butter to this recipe for additional softening. 1 drop each of Basil and Tea tree with some carrier oil, rubbed around the outside of babies ears and neck area. Reapply hourly as needed. Or 1 drop each of Lavender and Frankincense (or Lavender Touch) mixed with carrier oil then applied along the jawline and behind the ears. Roll Lavender Touch along the jawline and behind the ears. Add 2 drops DigestZen plus 2 drops Ginger, dilute with 1 Tbs FCO and rub over babies tummy and lower back. Add 2-4 drops of Roman Chamomile or Lavender Peace to babies bath and gently mix. This is more for 9 months onwards as they start to need food, but if you want to clean toys, benches and other things chemical free this bench spray is great and safe for the entire family – with no Triclosan in sight! 2 drops lemon, 1 drop of on guard and add 30ml white vinegar. Top up with water. Got questions or want some oils? Take a look at the starter kits here, or read more about my recommendations for parents here. You can also get in touch with me to arrange a personal phone consult about which oils or kit is best for your family. 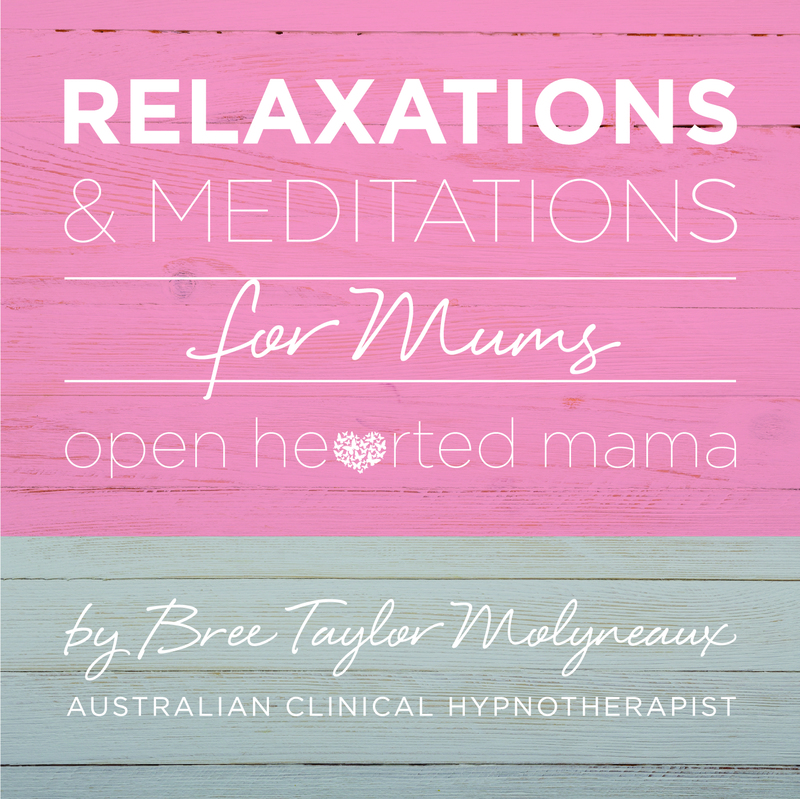 Bree Taylor Molyneaux is a Brisbane based women’s self-care coach specialising in support for fertility, pregnancy + birth, motherhood + beyond. She is trained a HypnoBirthing® practitioner, hypnotherapist and personal renewal facilitator with a passion for helping women bring more self-care into daily life. Bree runs weekend retreats, offers a range of self-care classes + essential oil workshops and is available for private coaching. She also has a range of and hypnosis downloads available on iTunes. You can read more about Bree here. Sleep support with a new sleep Wellness box! Wellness or sickness – what are your daily habits really creating? What does self-care mean to you?? Wellness classes coming to you around Australia!